Parisian design company La Chance is on a mission to bring contemporary French style to your attention. Since its launch in 2012, founders Jean-Baptiste Souletie and Louise Breguet have forged links with designers from the new wave of French design as well as international talent to produce modern statement pieces that have oodles of personality. Charles Kalpakian’s ‘Rocky’ cabinet is a case in point. 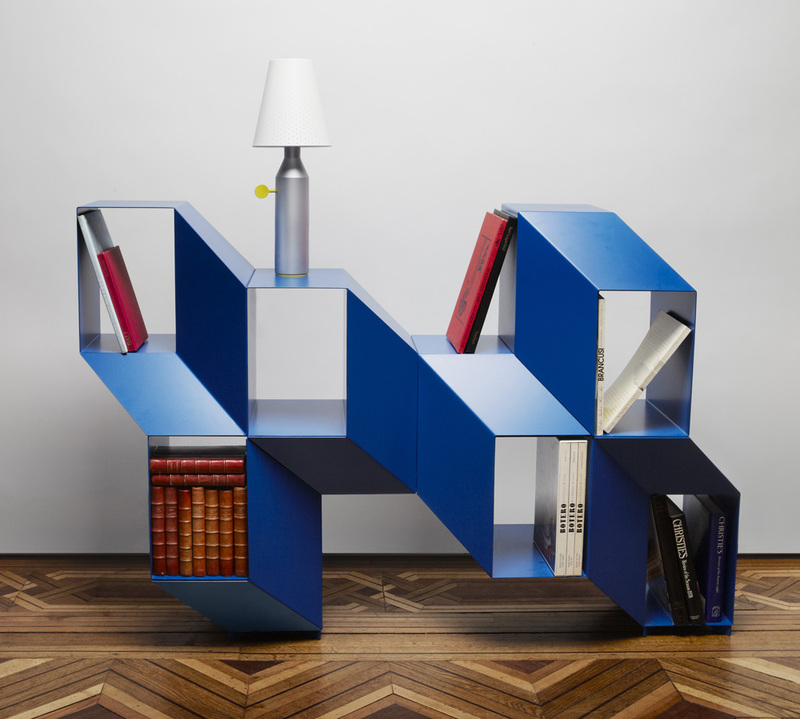 Made of lacquered steel, its Escher-like angled sections play havoc with your brain while forming a unique and eye-catching piece of storage for your home. Available in three colours, we’re particularly pashing on the cobalt blue version. For glamour with a twist, Sebastian Herkner’s metal and marblelicious 'Salute' side tables are incredibly beautiful with just the right amount of quirk and the animated ‘Anémone’ rug by François Dumas makes us come over all Jacques Cousteau.